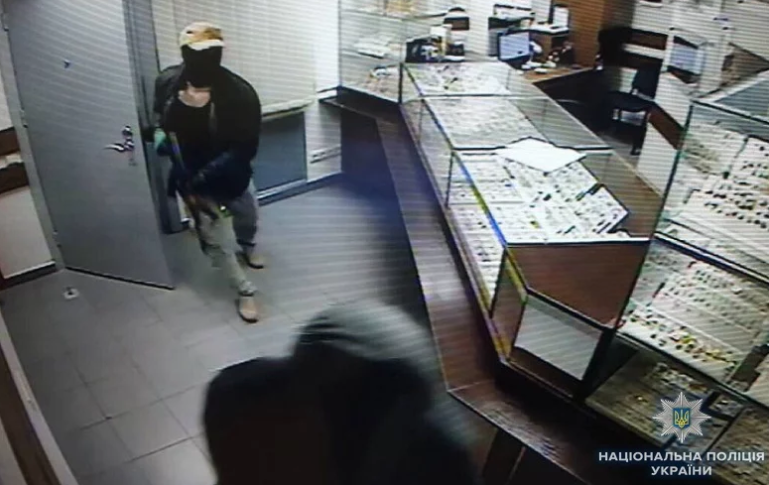 The culprits who robbed a pawnshop in Kyiv earlier and shot its security guard, are probably foreigners, as Viktor Nechytaylo, the Head of Kyiv Police, stated, the press office of the service reports. According to him, the attackers were communicating in a foreign language, and they addressed to the security guard and vendor in Russian. “Having analyzed all the gathered data, we can say that the attackers have arranged the robbery accurately: they have chosen a convenient time, when there are no traffic jams in the city, thought over the escape routes and the place for the car. Even the fact that the car used during the attack was burnt means that they were trying to destroy all the material evidence: the weapon they might have used during the robbery was found in the car’s interior,” the representatives of the police informed. The law enforcers noted that it took several minutes to perform the robbery. The preliminary cost of damage done is around $192 thousand. Kyiv police personnel is searching the attackers. The law enforcers urged everyone who possesses any data to inform the details of the incident. Earlier, we reported that three men shot a security guard dead and robbed a pawnshop near Kyiv’s Nyvky metro station. Two criminal proceedings were opened.